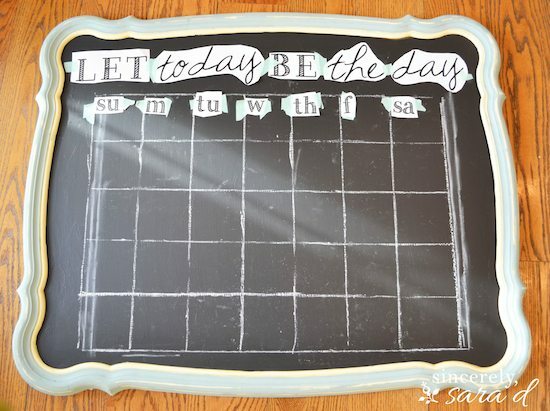 DIY Chalkboard Calendar - Sincerely, Sara D.
Learn how to make your own DIY chalkboard calendar! Baseball season for my boys is just around the corner, and in preparation I decided needed to create a DIY chalkboard calendar. For my project, I used an old mirror I found last summer at a flea market. However, you could also paint over the glass of an old frame or paint a chalkboard directly to a wall. Then, I used my technique I shared in a previous post to get my perfect lettering. If you don’t know this technique, I promise it’s fairly simple and you can check out my tutorial HERE. Making the calendar lines was the hardest part. I went with 7 boxes across for the days of the week and 5 boxes down. Unfortunately I didn’t think about the fact that a few months start on Saturday and actually require 6 boxes down (Like this month, March 2014). Anyway, I’ll just be a day late (or early) switching the months, and this will solve my problem. I used a (semi permanent) chalk pen on the quote, days of the week and grid lines (I did 4 inch squares). This way, when I erase the board every month, only the events erase. *I found these chalk pens on Amazon. They are great for chalkboards you want to keep more “permanent”. Get organized with this (monthly view) calendar. I also use a weekly view calendar in my kitchen. 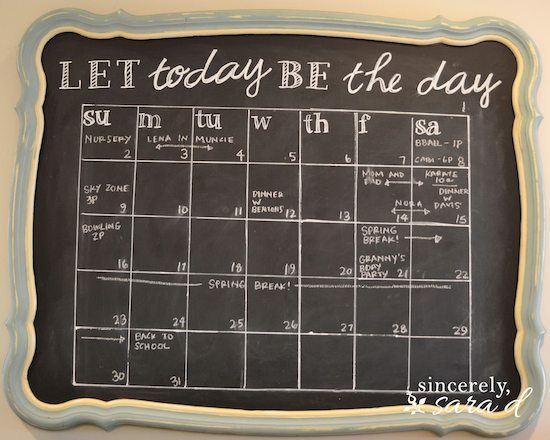 To see this calendar (and tutorial for a chalkboard fridge) click HERE. The shoe cubby was a find at a local antique shop. I was told it was once in my town’s original post office. True story or not, it’s one of my favorite finds to date. Also, the mirror I used is a little larger than 2 feet by 3 feet. I wouldn’t go much smaller because I think you won’t have room to write in the squares. Want to see more on my mudroom area? Click HERE! Let’s Stay Connected on Facebook & Instagram! *Special thanks to Melody Carpenter of Carpenter Photo for the beautiful photos of the chalkboard calendar seen at the beginning and end of this post. Great idea. What are the cubby dimensions? Hey Bob – I’m actually on vacation now, but I’ll check the dimensions when I get home. Thanks! The actual shoe cubbies vary in size. They are anywhere from 5.5 – 6.5 inches in height & width. I love that little organizer sitting on top of your cubby. Where did you get it, or did you make it? It’s adorable, I really like it. Perfect for important papers you need to keep close to your beautiful claender & the drawers are perfect for chalk, erasers, & pens etc. It could serve so many purposes. Thanks, Jamie! I actually found it at Homegoods last fall. I think it was made by Broyhill? I wish I could say it was a DIY project, but it’s not… Thanks for the comment! 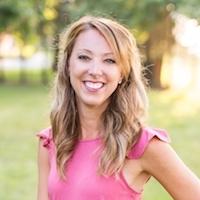 Hi Sara – just came across your blog and love it! Especially this mirror. Do you have a program with additional fonts? I have a smaller mirror that I would love to do this on, but I just need the text up top to be a bit smaller, thank you so much! did you paint right on mirror or remove mirror and paint on backing? I love this idea but fear a bit toouch pressure and mirror would break. I left the mirror and so far I haven’t had any issues with breaking the mirror. However, it is REALLY heavy. If you can, I would recommend replacing the mirror with a backing. I just kept the mirror because it was easy. Good luck! 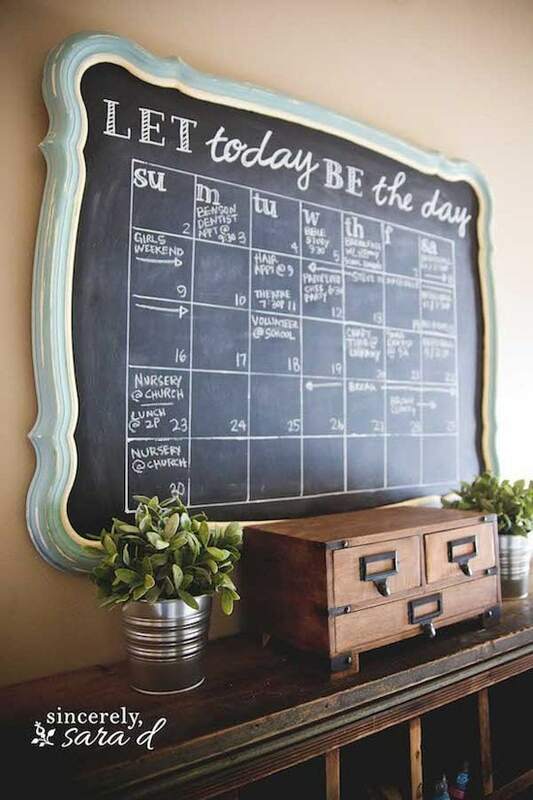 I love this chalkboard calendar! Can you tell me the dimensions of the actual calendar and the individual boxes? The individual boxes are 4 inches and the entire calendar is 20 inches long by 28 inches wide. Good luck, Sami! this turned out so darling Sara!! Love it! Great tutorial! is it possible to make the fonts smaller? Hey Brittney! Send me an email at [email protected] and I’ll see if I can help! What brand of chalkboard paint do you use? I looked on this tutorial and the fridge one and couldn’t seem to find it. Hi Britney! I’ve used so many different brands of chalk paint, and really haven’t had any issues with any of them. The most recent brands I’ve tried are Krylon and rust-oleum. Both were great! love the calendar! I am trying to make one for my classroom. I am struggling with findiNg a permanent chalk pen that will not erase when I put dates and student birthdays. Any suggestions? Chalk pens are pretty permanent – I use them and don’t have any problems with them erasing when I change the calendar. However if these aren’t working for you, you could try a china marker. It’s actually an oil based pencil, and it is definitely permanent. You can find them on Amazon. Good luck with your school year! So crazy I saw this post yesterday and 20 mins later I headed to goodwill to drop off some things, I thought I’d have a wee snoop around and I think I found the exact same mirror as you have here for $9.99 (what are the chance!?) I wish I could post a picture here! 24 hours later and thanks to your tutorial I now have an awesome calendar! I just need to figure out how to hang it because it didn’t come with that. Just wish I had the same luck with the postal cubby lol because I LOVE this whole thing! Good luck with organizing and thanks for taking the time to comment! I am on the hunt for the perfect mirror so that I can attempt to recreate this calendar! It’s amazing and I’m obsessed with getting it done! Good luck, Donna! I hope you find that mirror! Thanks! I’m thrilled to say that I finally found the perfect mirror though it is a bit larger than yours – thankfully the space can hold it! That being said, I’ve been doing lots of research about chalk pens and have been disappointed to learn that many will not erase from a porous surface such as a painted chalkboard. Have you found any chalk pen that is not quite as easy to wipe away as regular chalk but without the risk of staining the calendar that I’ve put such effort into? Thanks! Chalk pens are hard to erase from certain surfaces. For my calendar, I used the chalk pen to create the little quote and gridlines, and then I just use regular (sharpened) chalk for everything else (my changing things). I have been using china markers (actually more like an oil pencil) for projects like this. However, it also is more permanent and best for things that don’t need changed. Unfortunately I don’t think I really have a solution for you, but I hope I helped a little! 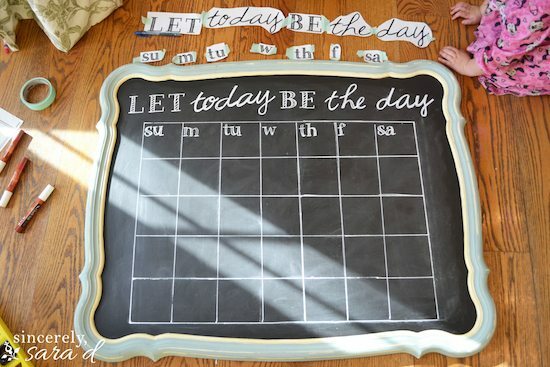 Through a series of clicks and such via Pinterest, I spotted this chalkboard mirror. I gasped out loud because I had this mirror as a child (1985)! It came with a 3-drawer dresser I still have and use today, as well as a canopy bed and matching bedding of butterflies (I don’t have the bed or bedding…lol)! You are right that this mirror is heavy! I ended up finally tossing it about a year or 2 ago after I just couldn’t find any other use for it, and it cracked in the corner. I was so sad to part with it!! I just have such fond memories of this mirror and the bedroom set because it was the very first matching set of bedroom furniture I ever owned. 🙂 I love seeing someone put a different spin on it! I’ve had several people tell me they have the exact same mirror, and now I know the story behind it! How fun! Thanks so much for taking the time to share your story, Tina! 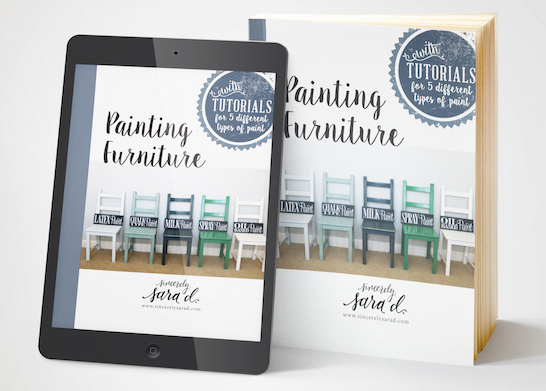 Hi Sara, how did the chalkboard paint workout on the mirror? Just wondering if it wears off easily or did you somehow prime the mirror prior to adding the chalkboard paint? It actually worked fairly well, and I really don’t have any scratches. However, you can add a primer first if you want to. Hi Sara! I love this. 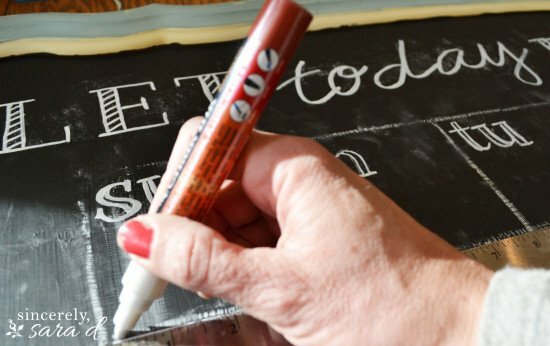 How,did you transfer the lettering to the chalkboard? I noticed the printouts were taped, but I’m unsure on how to tranfer them over. Thanks!